Born out of the oilfield, with our eyes toward the future. OnPing is a revolutionary SCADA & HMI software service that is changing the landscape of industrial automation and data management. 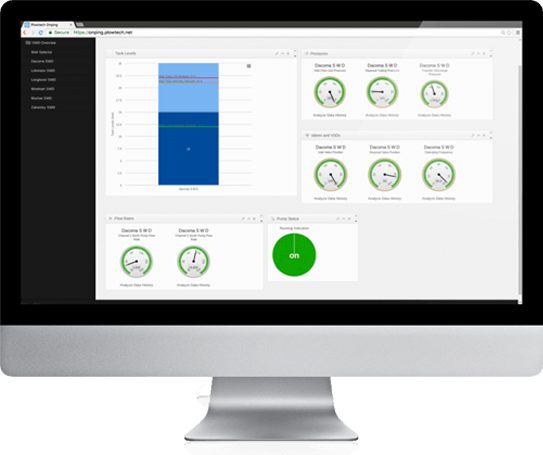 OnPing combines the low cost and scalability of hosted Software-as-a-Service with the customization and flexibility of costly On-Premises SCADA systems. 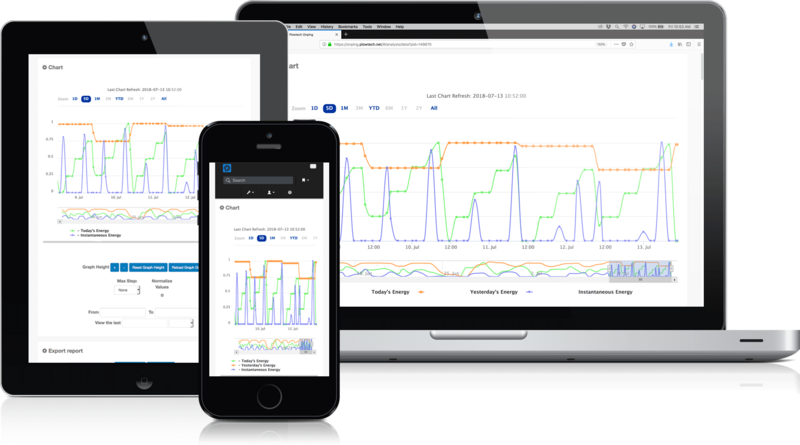 The Result: a 21st-century SCADA and HMI that governs the automation, control, data gathering and dissemination of industrial operations, while providing the exact up to the minute alarms, data and trends you demand. OnPing is hosted on our secure servers and can be accessed from any internet enabled device from anywhere. This unique browser-based approach delivers the full power and intelligence of OnPing to every device regardless of specs or installed software. Technicians in the field can have the same access and see the same screens as managers in the home office for excellent real time communication of current conditions or issues. OnPing’s data is the most reliable in the industry. Our Lumberjack data logger is an inexpensive piece of hardware installed on every OnPing enabled site. This small box acts as a real time back up and gate keeper for site data, ensuring all data is collected whether a strong data connection is available or not. In the event of a communications failure, Lumberjack continues to poll all devices and archive the data until a connection can be restored. This essential piece of the OnPing chain makes sure your customer gets full historical data and a clean, unbroken archive in even the toughest conditions. OnPing was born out of the Mid-Continent oil field and has many purpose-built features to assist modern oilfield production techniques. In addition to advanced monitoring, alarms and data visualization OnPing customers will have access to features like artificial lift control, full pump off control with down hole cards and a full featured, custom configurable HMI to provide visualizations and controls for entire fields, facilities or processes. We love solving unique problems and have produced many of our best features from customer requests. Tell us what your customer would like to see, and chances are, we can make it happen. One of the greatest advantages with OnPing may actually be the pricing. OnPing is priced on a simple base plus tags model with no hidden fees or confusing charges. We charge a simple base charge for every uplink site, with a fixed number of tags included. Past that, each polled tag will have a flat fee billed every month. Certain specialized applications like artificial lift control requires the use of many more tags so they will be billed at a lower application amount. It is very easy to quote for a new OnPing site and once that pricing is established, it will not change. We’d love to show you how OnPing can make a difference for your operation. Make an appointment with us today for a full demo and consultation.